I love Panko crumbs! I love the crunch, I love the flavor, I love the ease of cooking with panko, and I love how I always have these staple ingredients in my pantry. Normally I make panko chicken or shrimp with egg, flour and a little salt and pepper. In this new recipe, the addition of parsley and Dijon mustard takes plain ‘ole panko chicken to a whole new level! The flavors were outstanding. 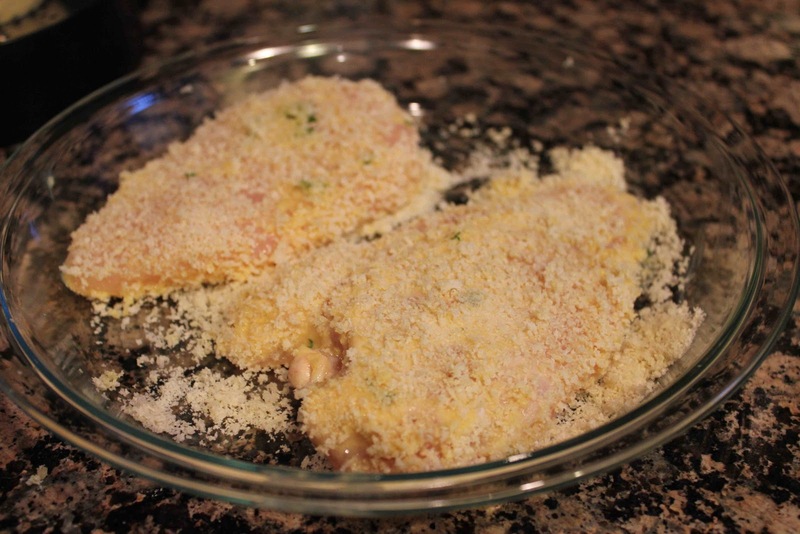 The panko chicken looks the same as my old recipe, but my husband even commented that it tasted better than usual! 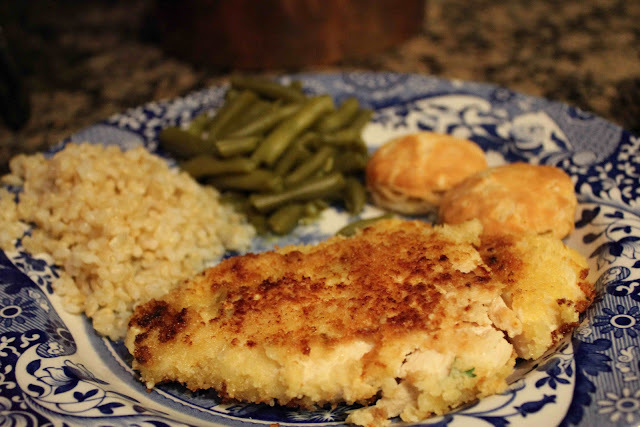 The “chicken” part of Panko-Crusted Chicken with Mustard-Maple Pan Sauce is excellent! Let me know what you think; I definitely plan on making it again. I served the chicken with brown rice, green beans, biscuits and fruit. Enjoy! 1. Using a meat mallet or rolling pin, pound chicken in resealable plastic bag to 1/3-to 1/2-inch thickness. 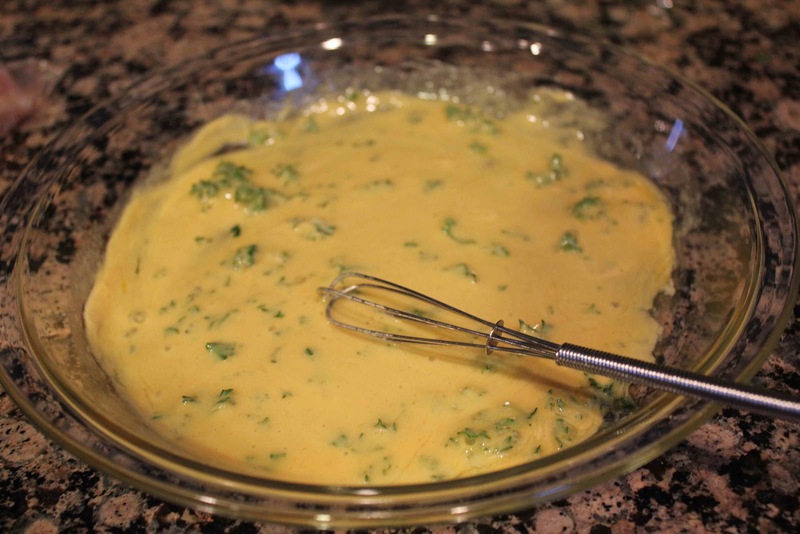 Whisk egg, parsely, and 2 teaspoons Dijon mustard in large bowl. Place chicken in egg mixture; turn to coat. Sprinkle chicken with salt and pepper. Dip each piece in panko; turn to coat. 2. Heat oil in large nonstick skillet over medium-high heat. Add chicken; cook until brown and cooked through, about 4 minutes per side. 3. Meanwhile, whisk broth, syrup, coarse-grained mustard, and remaining 2 tablespoons Dijon mustard in glass measuring cup. 4. Transfer chicken to plates. Add broth mixture to skillet; boil until reduced to 3/4 cup, stirring occasionally, about 4 minutes. Add butter; whisk until melted. Spoon sauce alongside chicken.